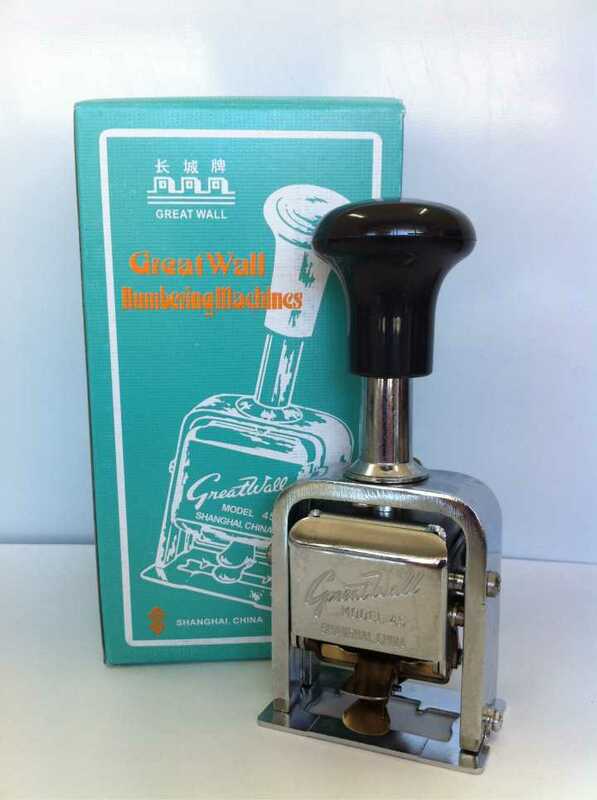 The Great Wall Automatic Numberer has seven functions. Six forward functions and one reverse function. 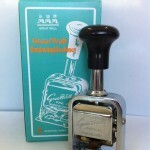 The stamp has 6 numbering wheels and included in the package is one bottle of ink. The numberer is a sturdy machine that is easy to hold and use. To ensure the smooth operation of the machine use only an oil-based ink to re-ink the Automatic Numberer when the ink starts to fade. Failure to do so will cause the metal wheels to rust therefore reducing the life of the machine. For all other types of numberers and daters see our web page for details. Call or email us if you have any questions regarding any of these products.